Our new ‘Don’t Mess With Bus’ safety campaign aims to raise awareness and reduce the number of near misses and accidents around our buses. Here, we take 5 with our very own bus driver, Bronwyn Edwards. 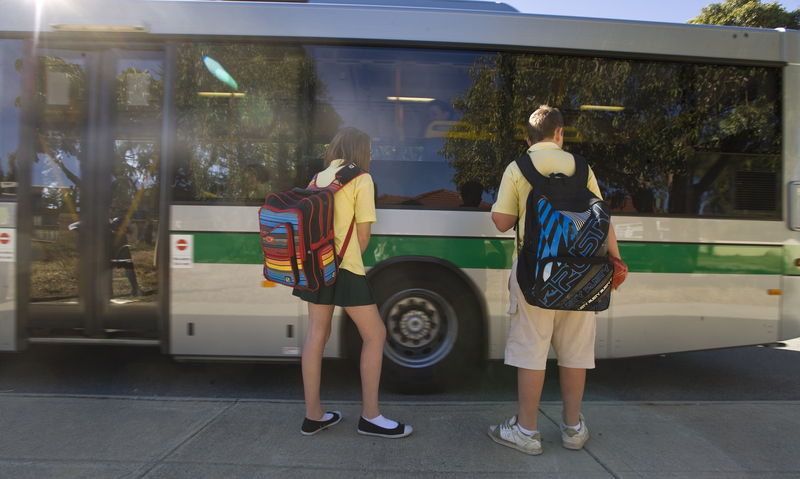 Transdev Veolia is one of Transperth’s bus contractors, what is your role with them? I am a full time bus operator/driver and I work out of the Mandurah Depot. I am also Master Trainer of the Transdev ‘Going for Care’ Customer Service program. What are your responsibilities? To transport my passengers safely to their destination whilst catering to their customer needs and to provide an enjoyable travel environment with a high level of customer care. Why did you become a bus driver? I love driving and I love people. Having worked in the public service industry for most of my life, I realised that by being a bus driver I could still provide a service to the community and have an outside office with a different view each day. What is your favourite part of the job? Meeting new people each day as well as greeting our regular commuters. I have seen children grow up from pre-schoolers to high school students and high school students become university students over the seven years that I have been driving buses. It’s nice to stay in touch with the kids and to do my bit in seeing them safely to school or home. What is your least favourite part of the job? I hate watching people crossing in front of my bus after dropping them off as it is such a dangerous thing to do. People of all ages walk out onto the road these days without even looking for traffic. I have seen many near misses around safety issues. Crowding at bus stops (especially schools) are extremely dangerous too with kids pushing and shoving to be at the front. I’ve seen a number of children lose balance and fall off the kerb into the path of the oncoming bus – it’s really frightening. What is the best experience you have had on the job? This happens most days – when I get a smile and a thank you from my customers! Where are you from? I’m from Napier in New Zealand and I have been living in Mandurah, WA for the past 8 years. 1. Don’t rush or push. 2. Be aware of others and avoid distractions. 3. Find a seat on the bus as quickly as you can and remain seated throughout the trip. 4. Stand back from the kerb and allow space for the bus to pull up. 5. Never walk in front, behind or between two buses!